So you have worked for years on a good undergraduate GPA, you studied yourself nearly to death to get a good LSAT score and you slaved away on an attention-grabbing personal statement for a few months... after dropping a few hundred dollars into the LSAC website, all your applications are turned in and the waiting game begins. You dream of the acceptance that you hope will come flooding in. Maybe they will and maybe they won't; the law school admissions game is ever changing and totally unpredictable. I am here to chime in on the scenario where you have been accepted to multiple schools and have to make the choice of which one you are going to dedicate your next three years of reading, writing and near death. I was accepted to 5 of the 6 schools I applied to with scholarships to all 5. I had two full-tuition offers and two half-tuition offers. Understandably, the highest ranked school I was accepted to offered the least scholarship. It was very overwhelming to have so many great options but exciting all the same. This is how I made my decision based on the pros and cons of each of the schools I could attend. The first and most important aspect of choosing a law school for me was monetary. I did not want to go into excessive debt for law school. I graduated undergrad with no student debt and I wanted to keep that number as low as possible. This helped to eliminate one school I was accepted to because though it is a great school, even with my scholarship it would cost me $35,000 a year. I just was not willing to spend that on my education when I had full tuition scholarships elsewhere. The second biggest factor was the location of the law school. I wanted to stay in Ohio so I chose to stick with Ohio law schools only and the two out of state schools I was accepted to were crossed off the list. This helped to narrow my options. Staying in Ohio kept me close to family, close to my fiance/husband and in the state I planned to take the bar and practice within and all of those things were very important to me. It was the most sensible option no matter how appealing 3 years in California was. Another factor that I found very important was how comfortable I was at the school. 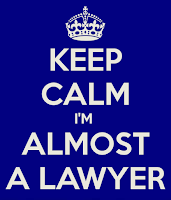 I wanted to attend a Law School where I felt my 3 years would be spent in a comfortable and pleasant environment. I liked touring the schools and looking for comfy study spots, natural light and just to get an overall feeling and sense for the atmosphere. Some schools just felt sparse and cold and unwelcoming no matter how highly ranked they were and I did not want to endure three years of that atmosphere. The last factor is the class ranking of the school. This was not a make or break factor for me though it is for some people. Given my aspirations as a lawyer, I did not need an ivy league education and I didn't want to pay for it. I looked for a well-ranked school with good job placement, small class sizes and high bar passage. That was where I placed my emphasis. If your emphasis is on rankings, that is fine, it just wasn't mine. Those considerations are all very generic and things everyone attending law school will be concerned about. I had some other unique considerations; I am getting married the summer before Law School and my fiance is getting a job. Wherever he got a job was where I would go to law school because I was not willing to be separated from my husband as a newlywed and he was going to support me for those three years. He applied to jobs in the towns I got Law School acceptances to and we began a waiting game for where would be the best law school offer/job offer location. After going through my checklist, I was down to three wonderful schools in Ohio that each had something I really liked about that school: Toledo offered a Full Ride scholarship, Ohio Northern offered the most comfortable setting closest to home and Cincinnati offered an adventure and great internships and programs. 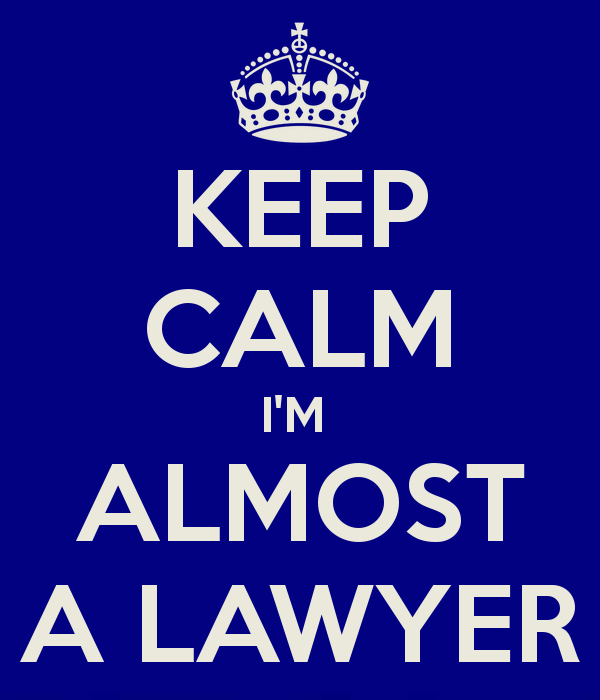 Right now my fiance is in the final interviewing stages for a good job in the Toledo, where I have a full ride scholarship to the law school and we would be about 45 minutes from our families and hometown. That is looking like the best decision for both of us and I am very excited to start nailing down my Law School choice officially. 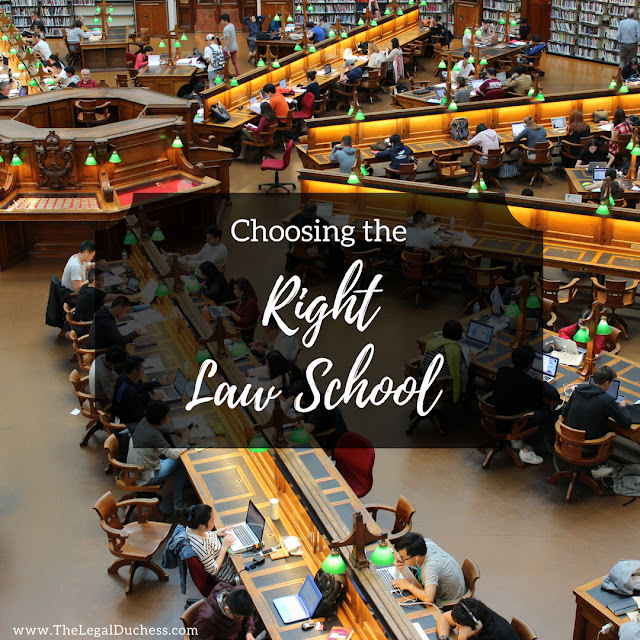 Choosing a law school is hard and stressful. It is a huge decision with a huge impact on your career and future. I hope my checklist and decision process can help you to make the right decision. Wherever you end up going to law school though study hard and do your best and we will all be lawyers eventually- we are on our way!!! What helped you make your Law School decision?